I’ve previously blogged about the challenges for the Apple Watch. Right now though, nobody can agree on the success of the device. Data from Slice Intelligence, reported by MacRumours suggested that sales fell by 90% in the second week of July. However, Recode countered that the data only accounted for US online sales and didn’t factor in the launch in physical stores during the same period. Regardless of the ‘sales’ stats, Business Insider has predicted a 35% annual compound growth of the smartwatch market. The Apple Watch is therefore an interesting device in which to understand the direction and benefits of wearable computing. Having used my device for nearly two months (yes, I have an Apple Watch), it’s been a good way to understand what works and what doesn’t. For example, I find the notifications are more useful than I expected. Whilst getting my phone out my bag or pocket is not a major hassle, there are benefits with notifications on the Watch. For a start, it’s discreet. I have been in a few meetings where my Watch quietly buzzed and I could quickly glance down to see what it wanted. That’s less of a disruption than pulling my phone out my bag. One commentator claimed that all the notifications do is to tell you to pick up your phone. I haven’t found that. Some of the notifications are reminders of another next meeting. I also use it to check the weather, transport and currency rates. None of these require me to look at my smartphone. One of the unexpected benefits has been for travel. I can set an arrival time for a journey in Citymapper and it will alert me when I need to leave, based on the current speed of the transport network. The turn by turn navigation is also useful. I was in a less savoury part of the city the other week and it was more discreet to use my Watch than get out my phone to check the route (if only Apple Maps were a bit more reliable). The navigation is also useful when it’s raining or I have my hands full. What’s interesting about all these benefits is that they are all very specific, or contextual. There is a parallel with the contextual nature of smartphones. I have been banging on for years about the need of brands to understand context in mobile to deliver the right engagement. For example, context is not simply knowing the user’s location. Understanding that I’m in-store is useful, but it doesn’t tell me if I’m browsing, ready to buy or just can’t find the product I’m looking for. Context also includes the time of day, my intent and even functions such as the battery life (when people’s batteries are low, the save their usage for basic tasks like messaging their loved ones). I’ve asked a number of people how they are finding their Watch. Although each person uses it differently, everyone said it was useful, but not essential. Maybe that will change if Apple Pay gains traction. However, the non-essential nature is the key point here. 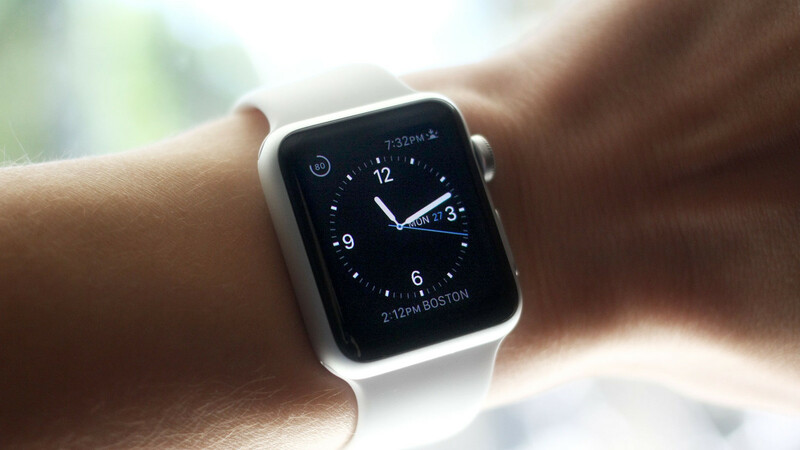 Whilst smartphones are now an essential core device, smartwatches are not. They are useful for very specific tasks. If brands want to develop their engagement on these devices then they will need to understand the very specific contexts in which they are useful. It’s hyper-contextual. Of course the challenge for brands is how to understand or identify that hyper-context. From sharks to cycles, R/GA (the company that developed Nike’s Fuel) is a T shaped device that clips to a bike’s handlebars. It connects to a smartphone and uses lights to guide the cyclist around their route – thus mitigating the need to become distracted by their phone. This is a simple and effective concepts that the tech manufacturer developed in Argentina. The country suffers particularly high road fatalities, not helped by the large number of single-lane roads. Their truck simply used a wireless camera at the front and projected the road ahead onto a screen behind so that drivers could easily see if the road ahead was clear. Maybe all trucks will have something like this one day? There’s much talk about the Internet of Things (IoT), from wearables to connected devices. We’re seeing lots of shiny new gadgets, but what are the implications for business? Should everyone have a strategy? Without wanting to create a sense of panic, businesses will be surprised by the speed and impact that a rapidly connected world will have. Moore’s Law, is a good way to understand the growth of tech – it’s not actually a law, but a suggestion that computing power will double every 18 months. In fact, things have developed faster than that and we’ve seen a trillion-fold rise in speed/power since the 1970s. It’s what makes wearables, cloud computing and the Raspberry Pi all possible. It’s not just the growth of computing power either. We’ve also seen the development of new sensors, interactions, big data and AI, along with rapid prototyping tools such as Arduino or 3D printing (often financed by crowd funding). The trouble is, humans aren’t great at understanding the concept of exponential growth, and the academic Larry Downs has pointed out that society, business and governments all develop at different linear rates. In other words, we are responding much slower than the technology is developing. The concept of the Internet of Things is not simply that devices can connect to the internet, but whole ecosystems that make relevant connections between objects and people (or even cows). Connected homes and cars are obvious examples, but the IoT is also impacting on health, industry (especially with robotics) and agriculture (through sensors). This creates a wealth of data that is increasingly being analysed by intelligent machines. Why is any of that relevant to businesses and brand marketing in particular? The development of mobile devices is a good parallel. Consumers were ahead of brands in using the devices. They also had an expectation that there would be mobile compatible services. Many businesses were slow to get on board, but are finally getting there. The growth of the IoT means that consumers will also expect businesses, even service-focused brands, to be more efficient and more integrated. That doesn’t mean producing pointless apps or gadgets, but rather, providing a better customer experience by leaveraging the benefits of the IoT. An example of how this integration works is the way that health insurers are using fitness and health monitoring products as part of their customer offering. From health to transport to industry, the IoT has the opportunity to make the world a better place. However, even when the tech is there, the applications won’t keep up. Microsoft’s Bill Buxton talked about The Long Nose of Innovation. He took the (computer) mouse as an example, which went from a wooden block in the 60s, to Xerox Parc in the 70s, the Apple Mac in the 80s and finally to all PCs. When it comes to the IoT we are at the early stages of that long nose. For brands and marketing, the best thing to do is to experiment, innovate and see what you can do. Just don’t make a pointless Apple Watch app. How businesses and brands can develop a useful IoT strategy. With Google’s I/O announcement of Brillo, things are hotting up for operating systems to run the Internet of Things (IoT). We are witnessing a considerable growth of connected objects – from watches to cars to homes. Some of these are from established manufacturers but low-cost, rapid development means that there are an increasing number of startups delivering new devices. With such a broad range of smart objects the real challenge of the IoT is how to make them a fragmented landscape work together. The company is already busy in the connected world – they own Android, which powers a majority of the world’s smartphones and has built Android Gear for wearable devices. Google purchased Nest, the connected home system, last year and for the future, their driverless car development will naturally connect to the IoT. The development of complete operating system makes sense for Google. However, what underpins most of their strategy is their search engine, and with it, paid advertising. Android, for example, puts their search at the heart of mobile. Although smartphones will be the core device for the IoT, the proliferation of connected objects means Google need to ensure their search giant status is future proof. The success is not guaranteed for Google. Look at the challenges they’ve had in other developments such as social media to see that the power of Google does not always result in uptake. And there are many challengers in connecting the IoT. Major players including Samsung, Microsoft, Cisco and mobile chip manufacturer, ARM have all made moves in this area. There are also a growing number of start-ups and open source projects such as Contiki, Riot and Onion.io. Perhaps most interesting project is IFTTT (‘if this then that’). Many people will know it as a tool for cross posting on social media, but IFTTT offers much more than that. It uses ‘recipes’ to create a codeless method of connecting across channels and devices such as Nest, Phillips Hue or Fitbit. With millions of recipes already running on their apps, the company has a head start on Google supported by a $35m VC funding round in 2014. Brillo was just one of a number of interesting announcements at Google I/O, there is no question that the operating system has added to the increased interest (and possibly hype) around our rapidly developing world of connected objects. What Have Hackathons Ever Done for Us? I don’t get the point of the hack days (or hackathons or whatever they’re called this week) that brands or ad agencies organise. I’ve been to a few and my experience is that they produce very little. Has a viable product or service ever been delivered as a result of a hack day? Not that I know of. The lack of real innovation is hardly surprising. A typical agency hackathon seems to consist of mostly people from the marketing team and a couple of put-upon developers, who are expected to do a month’s coding in a few hours. Maybe the hackathons made famous by Facebook delivered something useful, but I believe that the brand or agency sessions are largely a PR exercise. At best they might deliver the grain of an idea. There’s nothing wrong with a PR exercise, but there needs to be an element of realism to acknowledge that they are unlikely to deliver innovation. Moan over, no w for a shameless plug …. We’re trying a different approach to hack days called Maker Monday. Instead of a day or two stuck in a room, it’s a regular monthly event that brings together creatives and technologists to develop long-term projects that deliver creativity or solutions to problems. The first one was held in May in Birmingham. Backed by BCU with funding from the EU, we’ve managed to blag some kit (Arduinos, sensors, Raspberry Pi’s, Oculus Rift and even a 3D printer). We’ve got access to an open innovation space called Birmingham Open Media (BOM) so collaborators can work on projects in their own time. Each monthly session will be presented by an expert in their field – we’ve got people doing VR, holographic projection, Raspberry Pi, EEG inputs and gesture control. In addition to a short presentation, they will also run a workshop on their specialism. We have artists working with technology lined up to come to the event (and of course, free beer and pizza). The inaugural event focused developing ideas to deliver for an innovation week in November. There were a number of projects including a speaking keyboard for autistic children, a holographic interactive sculpture and clothes that automatically offer themselves to charity if they’re not worn (you can find more project concepts here). We’re hoping that the regularity of Maker Monday will create more meaningful results than a hack day. The spread between creative and technologists is pretty even, but as an open innovation event, anyone is welcome (even people from outside Birmingham). The advantage of the monthly approach is that people can collaborate and develop their skills where needed. Maker Monday is free, but tickets need to be reserved (see our Eventbrite page for details). The next event is at BOM on Monday 29th June at 5.30pm. Forget the smartwatch hype, here are three UK businesses that could drive the next generation of fashion – they all make use of technology, but not to lead the product. Instead they use it to offer a great the user experience. Even if you don’t know their name, you probably know their work. They have been around for over 10 years and during that time they have created a number of successful pieces for Katy Perry, the Tweeting Dress for Nicole Scherzinger and the Huggable Shirt. In many ways this company embodies the concept of ‘wearable fashion technology’. Much of this is done by using LEDs that are part of the fabric combined with traditional techniques such as pleating. It means that the clothes can be made skin-tight and fabrics can move in an organic way. , Cute Circuit also have a retail, ready to wear line. The company makes use of LEDs secreted throughout their garments – these can be used to create patterns or messages, all controlled from a smartphone app. For their 14/15 catwalk show, data from the web was fed to the mixing desk and used to create bespoke, changing patters on the clothes. My favourite is the Tweeting handbag. It looks similar to a mid-sized clutch bag, but Tweets and words can be displayed on it. Trained in both fashion and technology (at MIT), Elena Corchero prefers the phrase ‘smart materials’ applied to her work. Her range of clothes, jewelry and toys generally avoid batteries or circuit boards, instead focusing on smarter fabrics to solve problems. The Lflect range, for example, uses a reflective wool to produce scarves, hats and gloves that are aimed at keeping cyclists safe without the green, hi-viz jacket. The Ecolorium range of jewelry uses stones that change colour in ultra violet light. The objective is to warn the wearer (or friends) to cover up or use sunscreen. They don’t make clothes and they don’t use LEDs or clever materails. However, this UK-based app is on its way to changing fashion retail, and particularly that of the vintage market. Using a familiar Instagram-style interface, it allows anyone to post items for sale and other users to like, comment or buy, via a frictionless experience (helped by Paypal). Already popular with millennial users, the app has expanded to the US and secured VC funding. I don’t use the word ‘disruptive’ lightly, but Depop is one of the few apps that has the opportunity to change the market for clothing retail.